The Self-Elevating Tables, series V-ETS, is designed to automatically raise or lower as materials are removed or added to the platform. 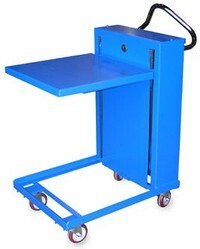 Keeping material at an ergonomic work height, Self-Elevating Tables increase efficiency while reducing potentially harmful bending and twisting motions. The V-ETS Series tables utilize internal counterbalance springs which may be easily added or removed to adjust the rate of movement. This feature allows the user to conveniently set the table to fit each particular application. 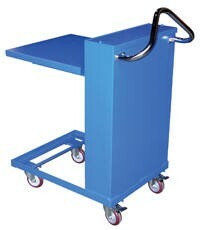 The V-ETS-230/460 has polyurethane casters while the ETS-840/1120 rolls smoothly on mold-on-rubber casters.